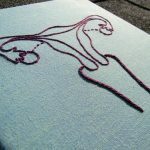 Why I'm cleaning my toilet for Christmas! This week I’ve started to crack on with giving the house a thorough bottoming ready for Christmas – of course the obvious rooms are kitchen, living room and dining room – the rooms you’re going to be spending most of the time in but have you thought about your bathroom? 1. Christmas is a time for celebrating and spending time with your nearest and dearest which means plenty of visitors, visitors who are more than likely going to need to “spend a penny” at some point! 2. 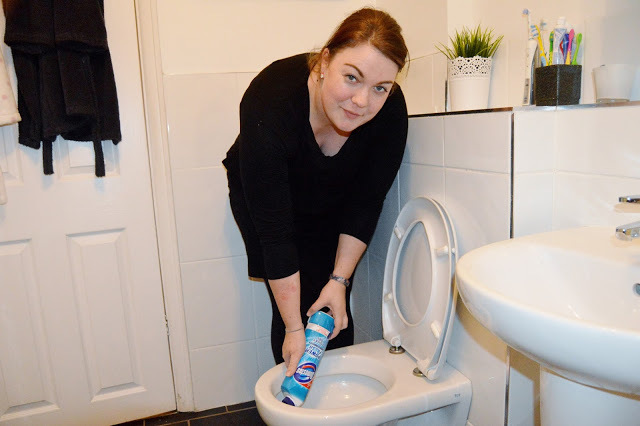 With a six year old boy who has something of a lazy aim at times, I’m always concious of making sure that our toilet and floor are especially clean. I’d be mortified if anyone went in my bathroom and it smelled of boy wee! 3. Aside from the need for the bathroom to be visibly clean, my two year old clearly has no concept of germs or the toilet not really being the place to put your hands, so making sure it’s as hygenically clean as possible is also really important! 4. With the usual excess that comes with a raft of Christmas parties and ensuing hangovers, the chances are you’re going to find yourself looking at the inside of the toilet bowl more than usual – at least make sure it’s clean so that the experience is as plesant as possible! 5. And finally, because a list isn’t a list if there are only 4 reasons . . . everyone needs their toilet to be clean enough to eat their Christmas dinner off when they run out of seats right? 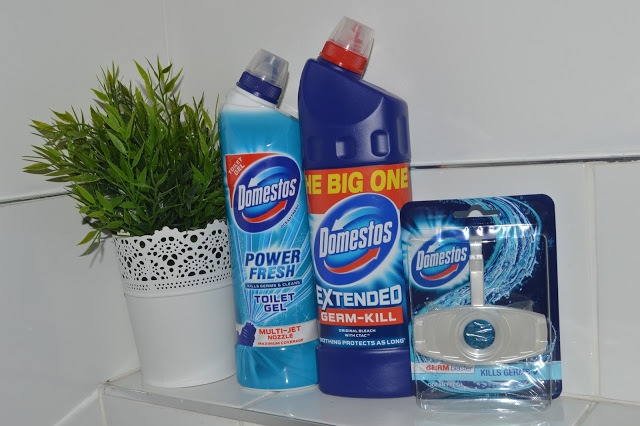 I’m a big fan of Domestos when it comes to keeping our toilet clean – Domestos Power Fresh Toilet Gel makes cleaning super-easy and the Domestos Germ Blaster rim blocks are perfect for killing off any unwanted germs and keeping your toilet clean and fresh throughout the whole of the festive season. Is your loo Christmas ready? Totally agree. The times when we have most visitors are the holiday times. And all that food and drinks each visitor consumes – we know how it ends. 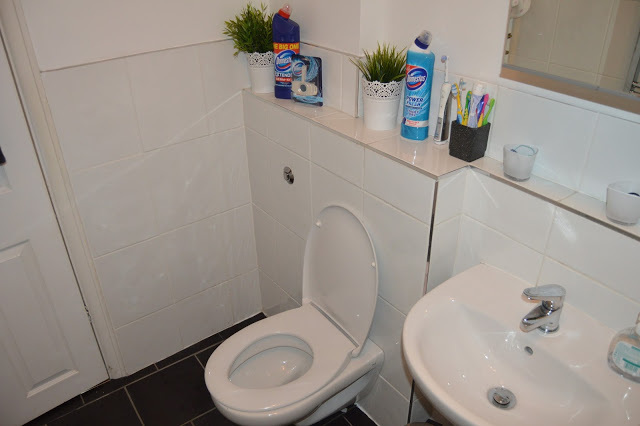 So, a clean bathroom during Christmas or another event when you are expecting guests is a must!